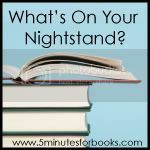 Last month's nightstand was pretty much all about wrapping up the L.M. Montgomery Reading Challenge and reading for the Children's Classics Mystery Challenge. I look at the cover art on all of these and I kinda want to start singing, "One of these things is not like the other ones..." And I want to read that one just for color coordination purposes! As I look back over the past few months I see just how much non-fiction I am attracted to and so it's kind of fun to hit the fiction for a change. It's a different kind of challenge for me because part of me says, "But you aren't LEARNING anything!" from such titles (even though that's simply not true) and the other part of me says, "But you are having FUN and doesn't that count for something!?" Sometimes mommy just needs to have fun. Would you agree? What a great selection. I'd be doing a happy dance if I had all those on my night stand. Oh, the first two really make me want to run to the bookstore. I read And the Shofar Blew last year and found it good. Yes, Mommy absolutely needs to have fun. It must be hard to choose from these -- a good problem to have! Yes - reading needs to be all about fun! 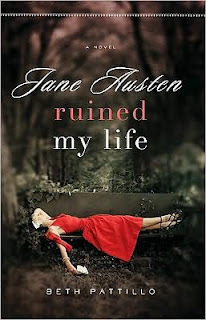 Jane Austen Ruined My Life was great! 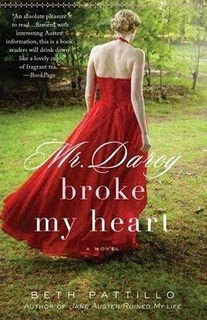 I am waiting for Mr. Darcy Broke My Heart! Enjoy whatever you choose. That's quite a stack! Can't wait to read your reviews. I DO learn from fiction. I love gleaning from the insight that novelists seem to have into the human character. And yes, it's fun. And diverting. And entertaining. I have a whole stack from which it is hard to choose as well. And mommy does need fun! 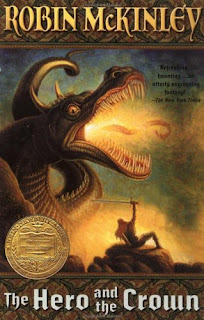 I REALLY want to read to Beth Patillo books. 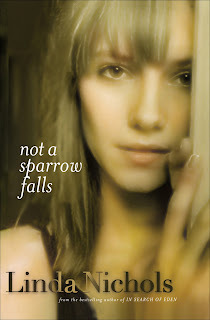 I liked Shofar, and I think I've read Sparrow. 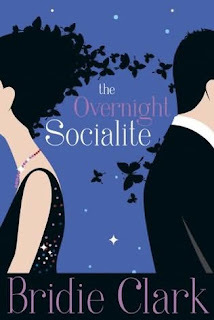 The Socialite book looks interesting, too. 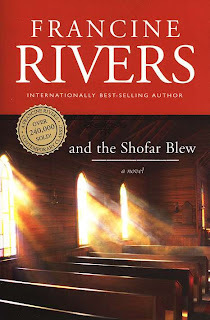 I would love to read “And the Shofar Blew”—I’ve heard good things about it, and I just finished my first Francine Rivers novel and really liked it (Redeeming Love). Yes, we do need to read "fun" stuff, too. I mainly read non-fiction (and much of that is fun), but I find that I need a fiction book periodically and I end up learning from that too. 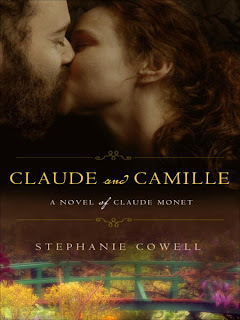 I'm looking forward to Claude and Camille, too, and I really like the cover image you have here- not the one that I've seen online before. You don't have to learn something when reading. The Nancy Drew was different. I tracked down the 1931 edition. Oh yes I learn from fiction all the time! Looks like a great stack ahead of you. Happy reading! What a great stack! 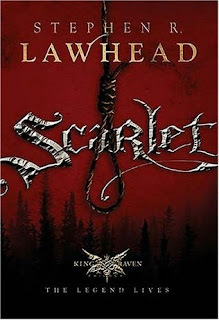 I have Scarlet on the shelves - will read it eventually. 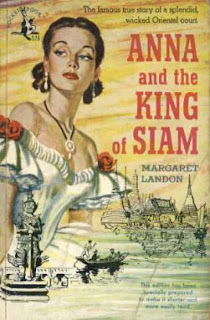 The rest look really good including Anna and the King of Siam. You commented on "Love Over Scotland"--it's actually book 3 in the series 44 Scotland Street. I think it would be hard to jump in not knowing that! Thanks for stopping by my blog! I'm the opposite - I read a lot more fiction than non. I think I'd lean more towards the Austen books personally, but the blue cover jumped out at me, too! What great choices! Of the two Patillo books, I liked the Jane Austen one better than the Mr. Darcy one. I can't wait to read your thoughts on all these books! And The Shofur Blew is fantastic! I love Francine Rivers. Have a wonderful week! I read Jane Austen Ruined My Life last year and thought it was good. I have the second on my shelves waiting to be read. Looks like some fabulous reads await you in your stack! I laughed in agreement at your comment on my post about 'Dancing With Einstein'...the cover art is wonderfully compelling--making it clear there's a story to be told! I think you would find that And the Shofar Blew is a book that you would learn a lot from - learn about yourself and others. It is not your typical "entertaining" fiction book. Although it's an enjoyable read, it's also quite sad in some places. I'm looking forward to reading your thoughts about it! Ooh, ooh, ooh---you've got some REALLY GOOD books on your shelf! Some good reading ahead!